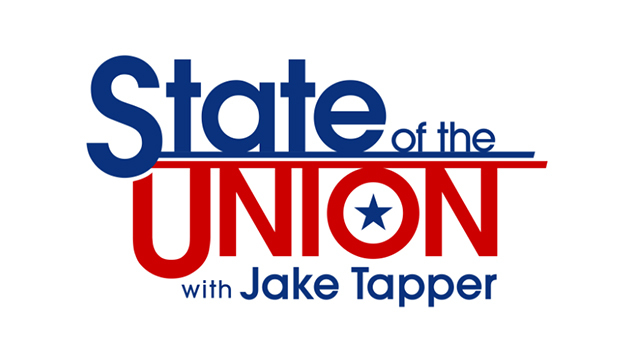 Today on CNN’s State of the Union, Senator Bernie Sanders (I-VT), joined anchor, Jake Tapper to discuss Western Saturday, Clooney’s Clinton fundraiser and more. For more information, see http://cnnpressroom.blogs.cnn.com/. Also, text highlights and a transcript of the discussion are below. JAKE TAPPER, CNN HOST: I’m Jake Tapper in Washington, where the state of our union is feeling the Bern. The results from the Democratic caucuses are just in. And the state’s Democrats threw Bernie Sanders a big luau yesterday. The senator won 70 percent of the vote there, crushing his competitor, Hillary Clinton. Sanders also won landslide victories in Washington state with 72 percent and in Alaska with a stunning 80 percent. Yesterday’s voting brings the pledged delegate count to Clinton 1,251 and Sanders 1,012. With his victories this weekend, Sanders has narrowed the gap, but Clinton still enjoys a lead, one that’s even larger if you include superdelegates. SEN. BERNIE SANDERS (I-VT), DEMOCRATIC PRESIDENTIAL CANDIDATE: We are making significant inroads in Secretary Clinton’s lead. SANDERS: And we have — with your support coming here in Wisconsin, we have a path toward victory. TAPPER: And Senator Bernie Sanders joins me now live. Senator, congratulations on Western Saturday. You swept all three states, Washington, Alaska, and Hawaii. Those victories follow recent wins in Idaho and Utah. I want to ask you. Back in 2008, Hillary Clinton touted her support with white voters. This year, you seem to be doing well with that group. Do you agree with Clinton’s 2008 assessment that the white working-class is pivotal to Democratic chances in November? SANDERS: I think every vote is pivotal. We are now winning in state after state the Latino vote. We’re doing better now that we’re out of the South with the African-American vote. We’re doing extraordinarily well with young people. And we are — we think we do have a path toward victory. TAPPER: What is that path to victory, sir? Because, as you know, you really need to score landslide victory after landslide victory in order to overtake her when it comes to the pledged delegates. SANDERS: Well, I think there are two aspects to it, Jake. As you have just indicated, the last five — we have won the last five out of six contests, all of them in landslide victories. What we have said from day one is, the South is the most conservative part of America. We did not do well there. Secretary Clinton gained a lot of delegates. No debate about that. We’re out of the South. We’re heading to the West Coast, which is the most progressive part of America. We think we’re going to do very well there. But in addition to that, in terms of superdelegates, a lot of superdelegates have pledged to Secretary Clinton. But I think when they begin to look at the reality, and that is the we in poll after poll are beating Donald Trump by much larger margins than is Secretary Clinton — in your own CNN last poll, we were 20 points ahead of him. In the last national poll, we actually beat Secretary Clinton by a point. We started 50 points behind. I think the momentum is with us. A lot of these superdelegates may rethink their position with Hillary Clinton. A have not yet declared. And then you have got superdelegates who are in states where we win by 40 or 50 points. I think their own constituents are going to say to them, hey, why don’t you support the people of our state, vote for Sanders? TAPPER: So, Senator, you were asked this week what it would take for you to get behind Hillary Clinton if she were to get the nomination. You laid out five specific demands. One of them was single-payer health care. If Clinton wins the nomination, but refuses to endorse Medicare for all, you would refuse to support her? SANDERS: No, I don’t think we have ever framed things in that sense. What we obvious — first of all, I don’t want to talk about, you know. what happens if we lose. We are in this race to win, Jake. And the reason that we have the kind of momentum that we have is, we’re talking about not what media gotcha the questions are about. We’re talking about the real issues impacting the American people. Why is the middle class disappearing? Why do we have massive levels of income and wealth inequality? Why are we the only major country on Earth not to guarantee health care to all people or paid family and medical leave? Why are our kids leaving college $30,000, $40,000, $50,000 in debt? Those are the issues that we need to discuss. I have a lot of respect for Secretary Clinton. I have known for her 25 years. We will see what happens at the end of the process, but, right now, our function and our goal — and we’re working hard at it — we think we can succeed. And that is to win the Democratic nomination. TAPPER: Let’s turn to a story that has concerned many Americans, the terrorist attack in Brussels. How would the Bernie Sanders war against ISIS differ from the war that Barack Obama has been waging? SANDERS: Well, I think, in fairness to the president, I know he gets criticized a lot. Some of the Republicans think he hasn’t been tough enough. His job is twofold, number one, to destroy ISIS. And, by the way, let’s be clear. We are making, on the military field, real progress. ISIS is on the defensive. They are retreating. They have lost, I think, 30, 40 percent of the territory they held in Iraq in the last year. So, we keep that up. But what the president is also trying to do — and I agree with him — is make sure that the United States, our brave men and women in the military, do not get sucked into perpetual warfare in the Middle East. Second of all, obviously, we need better intelligence-sharing. We have got to do everything that we can to make sure that we do not have continuation of a tax against our allies in Europe or even here in the United States of America. We have got to be incredibly vigilant, federal, state, local government, international intelligence-sharing, looking at social media, doing everything we can to prevent young people from joining these fanatical terrorists. TAPPER: Is the U.S. intelligence apparatus not doing that? SANDERS: I’m sure that they are. But we have to do everything we can to improve our efforts. It’s not easy stuff. Look, let’s be honest. Somebody who is willing to kill himself and strap a suicide belt around himself, this is not so easy to contain. But we have got to do everything we can, working with our allies, to make sure this doesn’t continue to happen. TAPPER: Well, the reason I ask is because you said this week that you agree with Hillary Clinton, who said that we have to toughen our surveillance, our interception of communication. And I just wonder what you mean by that. Toughen it to what? What is the U.S. government not doing now? What intelligence-sharing is not taking place that you say we need to improve? SANDERS: Well, it goes without saying that, when you have attacks that take place, when 30 people get killed in Brussels, something went wrong. This is not a criticism of the intelligence agencies. But we have got to improve our efforts to make sure that it doesn’t happen again. TAPPER: Terrorist groups are now operating all over the world, as you know. At what point would a President Sanders order a military strike against one of those groups abroad? How would you determine if a terrorist group posed an imminent threat to the United States? Would they have to attack the United States first? SANDERS: No, of course not. No. Obviously, you want to prevent those attacks before they take place. I think we know who ISIS is. We know those people who are planning against our European allies and against ourselves. And we have got to do everything we can to destroy them. Look, this ISIS is a barbaric organization. I agree with King Abdullah of Jordan, who said many months ago that the fight going on there is a fight for the soul of Islam. And at the end of the day, it will be Muslim troops on the ground — and we’re beginning to see some success there — that destroy ISIS, with the support of the United States, the U.K., France, Russia, et cetera. But the real battle has got to be fought on the ground by Muslims nations. I will do everything that I can to make sure that the United States does not get sucked into perpetual warfare in the Middle East. One of the big differences between Secretary Clinton and myself, I voted against the war in Iraq. She supported that war. That war has been a disaster for us. TAPPER: Senator, one of the things you talk about on the — one of the issues you talk about on the campaign trail quite a bit is big money in politics. The actor and director George Clooney is hosting a fund-raiser for the Hillary Victory Fund on April 15. We can show the invitation. A couple has to raise or contribute $353,400 for premium seating. In an e-mail to supporters, you called this obscene. Why is it obscene? SANDERS: It is obscene that Secretary Clinton keeps going to big money people to fund her campaign. But it’s not only this Clooney event. It is the fact that she has now raised well over $15 million from Wall Street for her super PAC and millions more from the fossil fuel industry and from the drug companies. We have, on the other hand, received six million individual campaign contributions, a record number in American history, averaging $27 a piece. So, I think what we’re trying to do is run a campaign, to paraphrase — paraphrase Abraham Lincoln, of the people, by the people and for the people, not just reaching out to billionaires and the wealthiest people in this country. That’s really a cancer on American politics. We have got to overturn this disastrous Citizens United Supreme Court decision. I believe, Jake, that we should move to public funding of elections. TAPPER: But do you think that comparing George Clooney, who, in addition to his film work, also does a lot of humanitarian work, has brought a lot of attention to genocide in Africa, do you really think that that’s comparable to the Wall Street investment banker types that you regularly bash? SANDERS: Look, the point is — now, I have a lot of respect for George Clooney. He’s a great actor. I like him. But this is the point. This is the problem with American politics, is that big money is dominating our political system. And we are trying to move as far away from that as we can. So, if you have an event — you know, we have events too. And our events, we charge $15 or $50 for people to come. So, it’s not a criticism of Clooney. It’s a criticism of a corrupt finance system where big money interests — and it’s not Clooney — it’s the people who are coming to this event — have undue influence over the political process. I think there are very few people, whether you’re conservative or progressive, who do not understand that reality. TAPPER: All right, Senator Bernie Sanders, congratulations again on your three-state sweep. Good to see you. Hope to see you again on the campaign trail. SANDERS: Thank you very much, Jake.